A FEW home truths being said in a changing room in early June is sometimes not too bad a thing for any upwardly-mobile side. That was the case at Tofts Road on Saturday where champions Hanging Heaton were left to reflect upon a disappointing eight-wicket loss to the side rated as the biggest threat to the Tewits’ hopes of reclaiming league silverware in Pudsey St Lawrence. It was largely one-way traffic, with Heaton mustering just 137 after being put in to bat, with the in-form Charlie Parker (3-25) and captain Chris Marsden (3-37) in the wickets. Replying, St Lawrence eased to 138-2, with opener Mark Robertshaw hitting a fine unbeaten 85 as the hosts opened up a 12-point lead at the summit with Heaton now third. Chairman John Carruthers reflected: “There was a hell of a lot of disappointment that we let ourselves down a little bit. We did not perform at all. Let’s just call it a blip. “A bit of a ‘giddy up’ at this part of the season and a reality check to where we stand is not too bad a thing. “We are doing well and are a good outfit, but there are always several sides who can win the league. 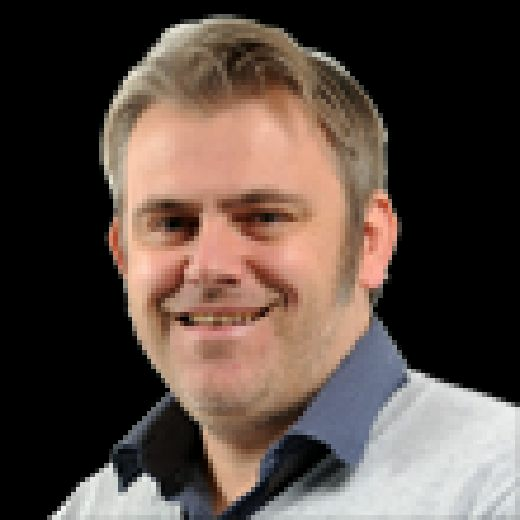 Admitting that the loss is a timely warning ahead of key games coming up in league and cup, with Heaton at home to Woodlands in the Heavy Woollen Cup on Sunday and travelling to Methley in the Priestley Cup on the following Sunday, he added: “We need more consistency in all departments in games. We have bowled well and batted well at times, but not quite got them together. New Farnley moved up to second after getting back on track with an express ten-wicket whitewashing of struggling Scholes, thanks to another magical bowling performance from Alex Lilley. The dynamic left-armer, who took 7-57 in Farnley’s previous game against Heaton, but in a losing cause, produced an unplayable spell to decimate Scholes’ card, taking a marvellous 8-36 as the hosts, opening, were all out for just 67. Farnley then raced to 68-0 in reply, with Martin Andersson leading the way with 34 as Scholes, on a tough run of fixtures, slumped to their fourth straight league loss. There was relief for Farsley, who returned to winning ways with a much-needed 64-run success at Methley to move back up to fifth place. Opening, the Red Laners struck a confident 235-7 with James Wainman (86) and Mark Harrison (60no) in the runs with the pair sharing in a productive fourth-wicket stand worth 101. Replying, Methley were back in the showers for 171, despite Jordan Laban’s 54. Overseas Pat Kruger (6-55) shone with the ball for Farsley, with spinner James Logan taking 3-30. Cleckheaton (70-5) continued their improved form with a five-wicket win over old rivals Woodlands, with the Albert Terrace men dropping to sixth. Woodlands’ batting problems again flared up as they were dismissed for a sorry 68, with left-armer Josh Thurwell taking a superb 6-23 for the Moorenders. Chris Greenwood took 5-12 as Lightcliffe (84-3) moved up to joint third with a comfortable win over cellar dwellers East Bierley (83). Virtuoso stuff from Richie Bresnan (58no and 3-12) helped Townville see off Bradford and Bingley by 56 runs. Bresnan struck an unbeaten 58 in Townville’s 204-6 – putting on 105 for the sixth wicket with Harry Clewett (53) – and was then in the wickets as B&B were dismissed for 148. MORLEY have been usurped at the Championship One summit after seeing their unbeaten record ended at Undercliffe. The Intake Road outfit have now moved up to first place alongside Wrenthorpe, who produced a confident performance to beat struggling Hartshead Moor. 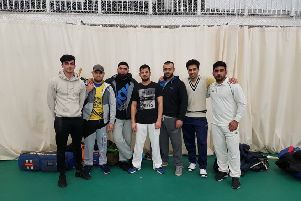 Morley were undone by a marvellous fourth-wicket partnership of 152 between Fahid Rehman (98) and overseas player Khalid Usman (56) as Undercliffe rallied after a ropey start to reach 201. Sanga Cooray took 4-37 for Morley and then hit a defiant 37 with the bat, but the visitors’ middle-order toils proved telling as they were dismissed 39 runs short, despite Richard Jubb’s 62. Usman took 3-31 for the winners, with Michael Kelsey (3-29) also in the wickets. Wrens eased past Hartshead Moor by eight wickets after skittling the hosts for 52, with Jonathan Rudge (6-26) and Awais Ejaz (4-25) making hay. In-form Joe Duffy hit an unbeaten 44 and Chris Rhodes bagged 4-17 as Gomersal moved up to fourth following their four-wicket victory over Batley. Pudsey Congs edged out Bankfoot by one wicket in a close encounter. Opener James Ford (71) was the main man with the bat for Congs, who managed to chase down Bankfoot’s 183 all out. An invaulable 24 not out from tail ender Jamie Allen also proved no less important, with Arsaam Malik (3-31) and Jawad Waheed (3-32) in the wickets for the losers. Waheed had earlier top scored with 44 while Shanz Prangige made 39 in the visitors’ innings. Mustafa Raffique was the most-impressive bowler with 5-47. Yeadon’s struggles continued with a 29-run loss to Baildon, for whom spinner Mushtaq Ahmed took a fine 6-31. Opener James Todd (54) and Muhammad Naveed (45) shared a third-wicket partnership of 105 for Yeadon, before their last eight wickets fell for 39 as they slid to 156 all out. Earlier, Paul Machell (4-52) and James Massheder (3-34) were in the wickets for Yeadon, but to no avail. Winless Ossett (123) were edged out in a close-run thing with Hunslet Nelson (132). Defeat was tough on new signing Oliver Newton (42). Nelson skipper Will Stiff played a key role in his side’s success with 5-24, with Joe Finnigan taking 3-31 for Ossett.